Healthy vision is crucial to your everyday success in life! This is why Insight Vision Center Optometry is committed to your healthy vision from birth until your golden years. We are a family-focused team of eye doctors in Costa Mesa, CA dedicated to giving Orange County the best visual solutions for all types of vision problems. 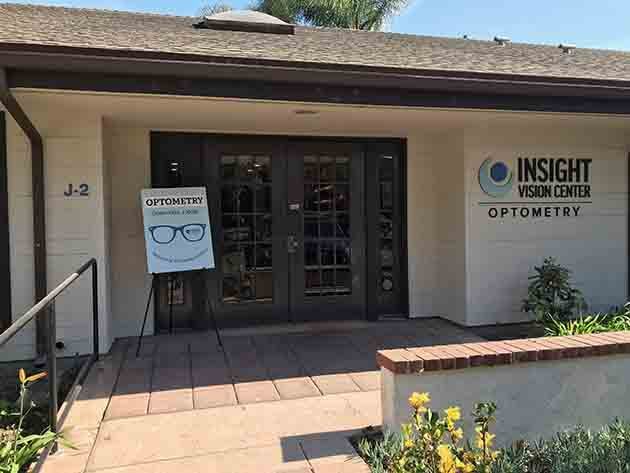 Patients in Costa Mesa and throughout Orange County have chosen us for their eye care needs because of our unique services not offered at other optometry offices. Our patients know that we are dedicated to giving them deeper INSIGHT into their vision that goes beyond just your standard glasses prescription. We are dedicated to remediate children that have trouble in reading, attention, and learning due to poor visual skills. We use fun interactive activities, our virtual reality gaming system, and infrared eye tracking software to improve eye movements in our vision therapy program to help increase reading speed and accuracy. We are dedicated to protecting children’s vision for the future and believe in doing whatever we can to stop myopia progression. We use the most advanced technology and custom designed contact lenses for our orthokeratology service which allows us to treat higher prescriptions of myopia, hyperopia, and astigmatism more accurately. We are dedicated to restoring vision to eyes that have lost hope in seeing “normal” again. Through scleral lenses and specialty contact lenses, we have been able to restore patients with keratoconus, post-surgical corneal complications, and severe dry eye back to normal limits so they can function and live like they once used to. Change the Way You See the World. Schedule an Appointment, Today! To learn more about our eye care services call us at (714) 486-3315 or send us an inquiry through our contact form. We’re dedicated to making sure you love the way you see! We offer a wide range of procedures to help you get the perfect vision.